What does it take to think creatively and innovatively in a world that is changing rapidly? And what are the instructional experiences that equip learners with the mindsets, knowledge, and skill-sets to be persons of Christian influence in the worlds of today and tomorrow? To provide a glimpse into how MPCS is addressing these matters of great significance, consideration of our curricular and competitive STEAM learning experiences offers clarifying insight. 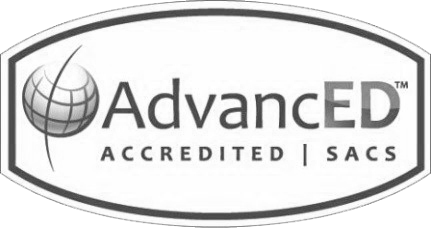 Focusing first on our preschool and lower school classrooms, instruction in the engineering design process is systematically strengthening students analytical, creation, and testing skills. Moreover, students are supporting the development of their thinking and technology skills through the use of a diverse set of tools including MinecraftEdu, LEGO® Robotics, Scratch, and Makey Makey. Mrs. Randi Terry, a faculty member facilitating this instruction, states that students “learn to figure out what they don’t already know and piece together the knowledge they do have in order to learn something new.” Preschool STEAM exploratory will allow students to work in centers, engaging in hands-on learning and collaboration with their peers where curiosity and imagination thrive. Further complementing lower school classroom instruction is the opportunity to participate in engaging clubs. The Engineering for Kids Club and Girls Using Engineering and Science Skills (GUESS) both provide students with hands-on, engineering learning opportunities that support the development of design and coding skills. Of special note during the past school year, GUESS students addressed the engineering challenges associated with designing buildings capable of withstanding earthquakes. 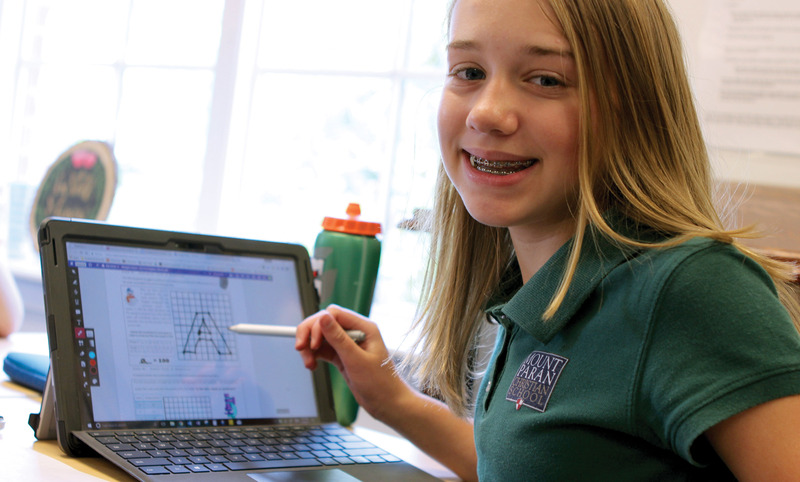 In the middle school and high school, current STEAM instruction is being further refined through the initial implementation of Project Lead the Way (PLTW) curriculum. During the 2017-2018 school year, PLTW curriculum will support student learning in the following courses: Design and Modeling, Computer Science, and Introduction to Engineering Design. A nationally vetted, proven engineering instructional model, PLTW provides extensive teacher training and support, leveraging a discovery learning orientation to provide students with experiences that are cohesively aligned across school divisions, authentic, and project-based in their design. 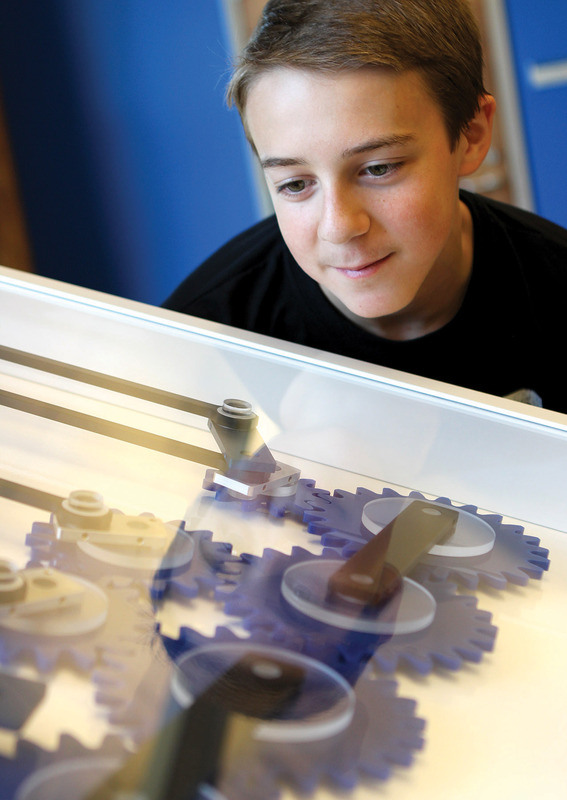 Students begin with activities and projects and then progress to open-ended challenges requiring sophisticated problem-solving skills. Further enhancing 6-12 classroom instruction is the extraordinary influence and success of Eagle Robotics. Paving the way for successful high school competition, our middle school teams compete in the FIRST LEGO® League (FLL) and benefit from the guidance of high school mentors. In high school and of special note, the 2016-2017 Eagle Robotics season marked the highest achievement in the history of the program. Twenty-two high school students participated on two teams. Both teams qualified for berths in the State Championship with one advancing to the Semifinals and the other to the South Superregionals. Moreover, both won Inspire Awards, the highest award given at any robotics competition. 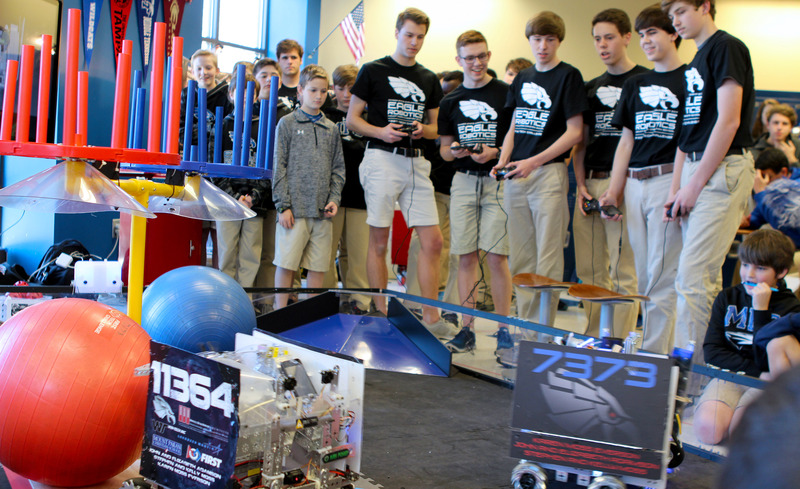 In addition, students are gleaning real-world STEAM experience by working with Baxter industrial automation robots, donated to MPCS by CKS Packaging. They are also partnering with Win-Tech Inc. to fabricate CAD-designed mechanical parts for functional machines. Graduates are taking these skills to the next level at universities such as UC Berkeley, Georgia Tech, and MIT. 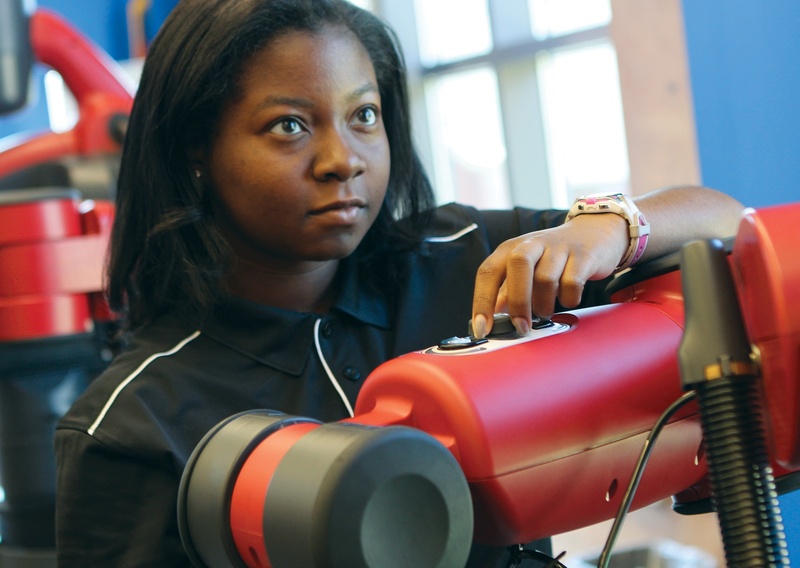 Alumni are thriving in STEAM-related fields, serving corporations across the US. And that is what MPCS seeks to foster through its STEAM instruction – the inspiration of creative, resilient, adaptive, and critical thinking minds. And all to the glory of our God! 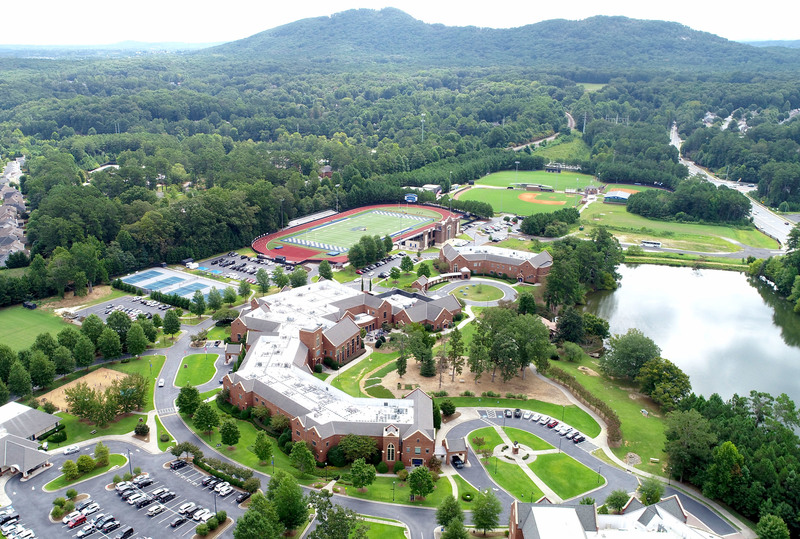 Steve Bohlmann serves as the Academic Dean at Mount Paran Christian School.